A cotton cat collar with real leather personalised pet tag. 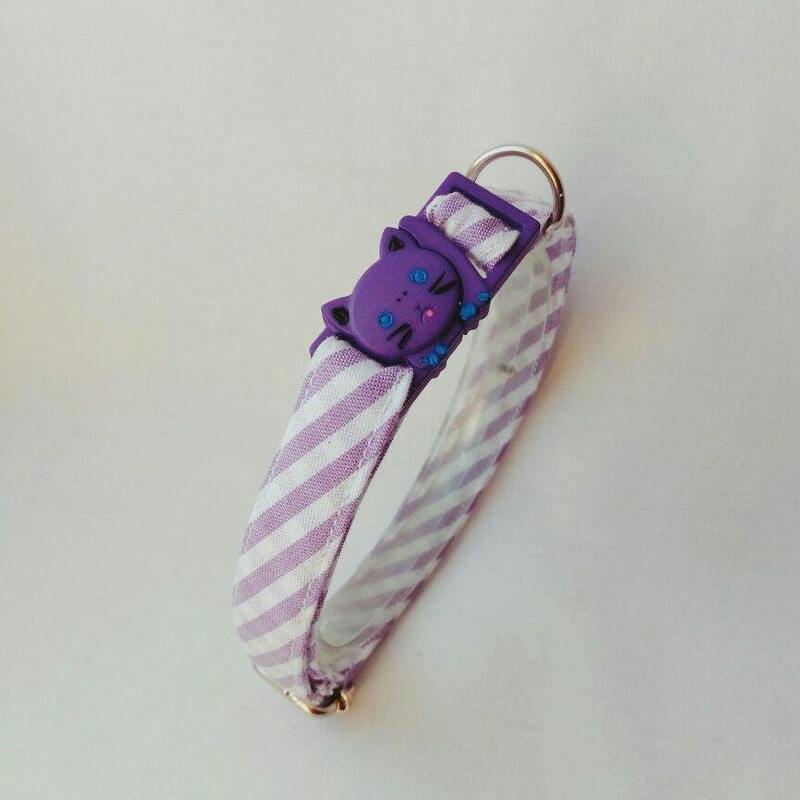 The collar is made from lightweight and soft cotton, suitable cats and small dogs. 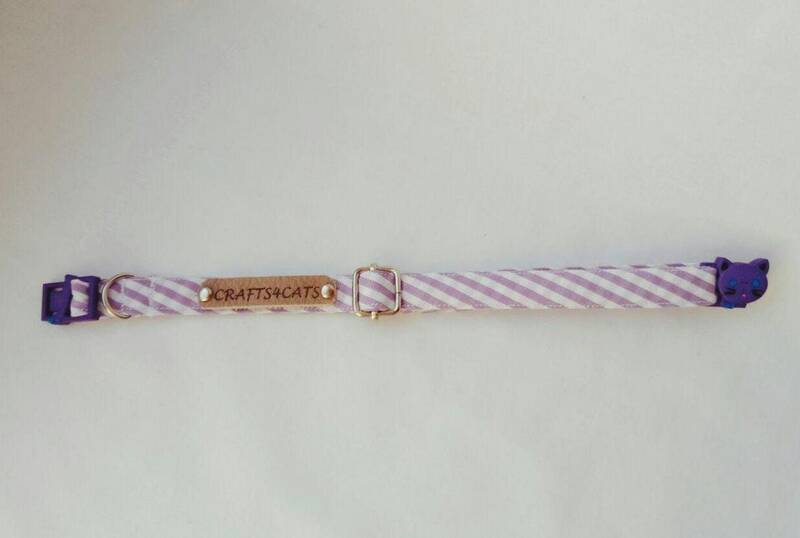 A purple stripy collar with a personalised real lethar pet tag (laser engraving).